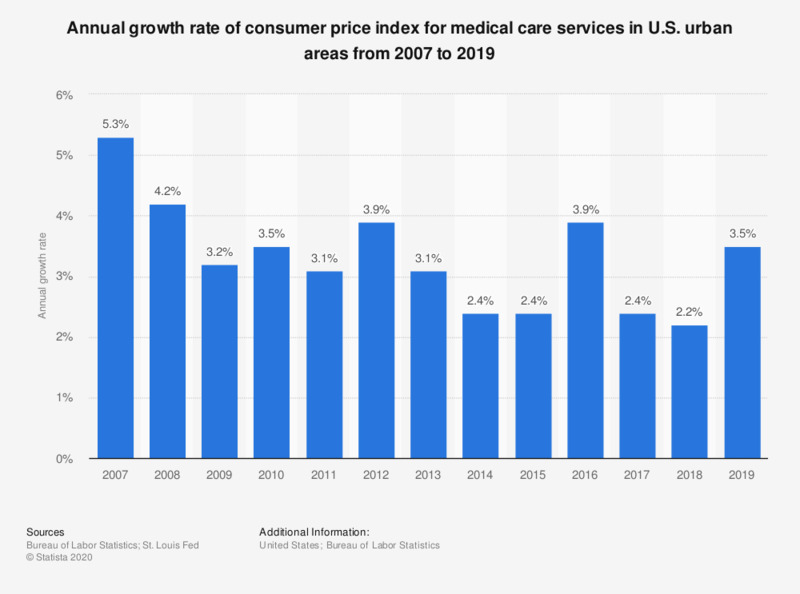 This statistic shows the annual growth rate of consumer price index for medical care services in U.S. urban areas from 2007 to 2018. During 2007, the CPI for medical care services in U.S. cities increased 5.3 percent over 12 months. Medical care services in U.S. city average, all urban consumers, not seasonally adjusted.